The Mayfair Hotel, was located at the corners of North Tryon and 6th Streets. Built by two local physicians, Dr. James Pleasant Mattheson and Dr. C.N. Peeler, the hotel opened its doors as the Mayfair Manor on November 15, 1929. 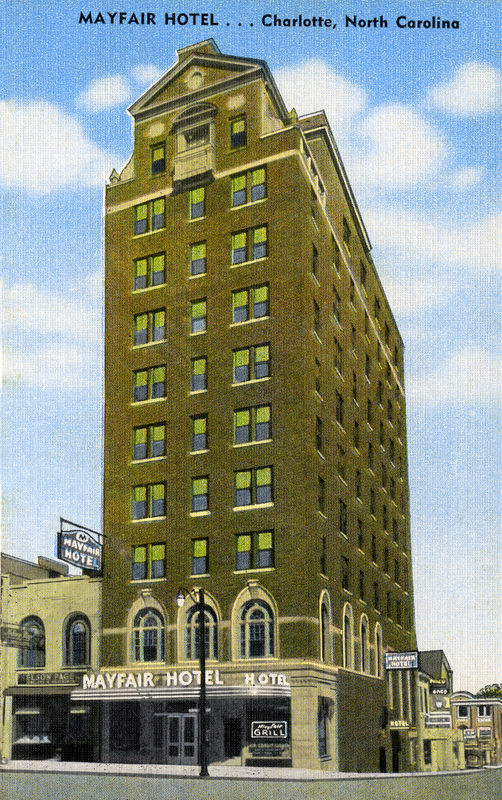 Listed on the National Register of Historic Places, the hotel was designed by Louis Asbury. The Dunhill Hotel Associates restored the hotel to its former grandeur in the late 1980s, and changed its name.